Usually, curtains trap a lot of dust, dirt, and other flying debris. This will make the curtain dirty over time. The extent of dirt accumulation will vary according to a number of factors. These include material used to make the curtain, geographical region, type of windows or doors, and also any construction around the area. The more prone a curtain is to dust and dirt, the more times it needs to be cleaned. In addition, it is also important to use an effective cleaning method. Failure to do so may lead to health issues such as sinuses, asthma attacks, allergic reaction, and much more. Curtains are put in place for various reasons. They may be used to block any excess light, stop creatures from coming into the house, reduce the wind speed (draughts), enhance the ornamental beauty of the home, and also as part of a trend. While offering the above benefits, the curtains also attract harmful pathogens and germs. For instance, parasites such as fleas, dust mites, bedbugs, and many others will hide behind a curtain or on the rails holding it. Some creatures will be attracted to the dust such as dust mite, while others may be enticed by the lighting especially at night. If allowed to come into the house, the pests and pathogens may cause diseases such as fever, or flu. Most curtains are made from material that easily absorbs moisture and water. This makes the curtain suitable for day to day use. However, during heavy downpour or a leaky roof, the moisture remains on the curtain for long. On the other hand, poor drying methods may also leave a substantial amount of moisture in the curtain. The moisture will in due course attract silver fish, or lead to the growth of mildew and mold. In case a human being comes into contact with the mold or mildew and accidentally consumes it, it may lead to diseases such as a running stomach, nausea, cholera, or typhoid. It is a known fact that curtains will get dirty and dusty from time to time. The dirt will come from the environment. These may also include pollen, minute seeds, as well as leaves. Human beings also contribute to making the curtains dirty by handling it with dirty hands. This may leave stains, grease, oil, and much more. In addition, the pets kept in the home such as dogs, cats, and birds will also shed some fur or feathers. Sooner or later, the hairs, furs, or pollen get attached to the curtains. This may cause an allergic reaction to a person who has an allergy towards a particular substance. Asthma attacks, skin sensitivity, and sinuses are among the common allergenic reactions. 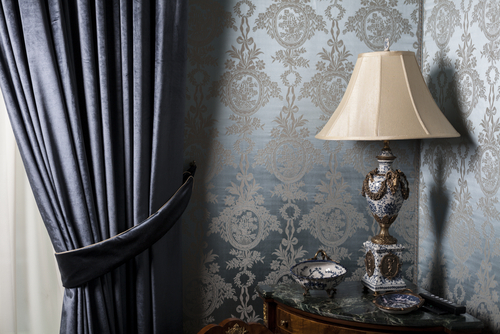 Poor cleaning methods or lack of cleaning a curtain may make the curtain emit some unpleasant odors. This may be attributed to smoke, animal smells, pollution, and much more. The constant smell of the pungent air will have psychological effects on the inhabitants. This may lead to a person becoming irritable or uneasy as the smell gets to him. Though it may seem like a small issue, it has caused a number of people sleepless nights. Some people also get agitated by the sight of a stained or dirty curtain. Therefore, to save yourself the psychological disturbance, you may need considering calling in an expert to properly clean and dry the curtains. Some curtains are designed to allow air to circulate in and out of the room easily. Such curtains are always designed to remain in place hence are rarely drawn. However, as the dirt and other particles block the openings, the aeration becomes limited. This may make the room quite stuffy since it lacks fresh air. A person may start having cases of headaches or migraines since insufficient oxygen is getting into the body. Regular and thorough cleaning of the curtains will always make certain that the air moves in and out of the room conveniently. Possibly, you may have been having the migraines simply because of the stuffiness in the room. This may be caused by a dirty curtain. We all look forward to relaxing in a comfortable ambience. A setting where we can smell the fresh air, clearly view the outdoors, and just simply sit back and enjoy the ambiance. Unfortunately, this desire may be limited by a poorly kept curtain. 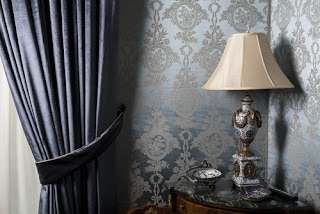 The curtain may restrict the lighting forcing a person to turn on the artificial lighting even during the day. The poor circulation may also drive a person to turn on the noisy fans or air-conditioner. At the end of it, the constant noise and high power bills may affect a person’s moods and emotions. This may harm the interaction and bonding between a person and his family members. From the above, it is quite clear that cleaning the curtain should be given priority. Probably you have been falling sick or catching the flu or sinuses due to the dirty curtain. In order to ensure you get it done right first time, you many need to consider engaging a professional firm to clean all your curtains. The cleaners are well experienced in this vocation hence will guarantee you of a thorough job. Not only will professional curtain cleaning save you time, and effort, but will also make sure you are of sound health.